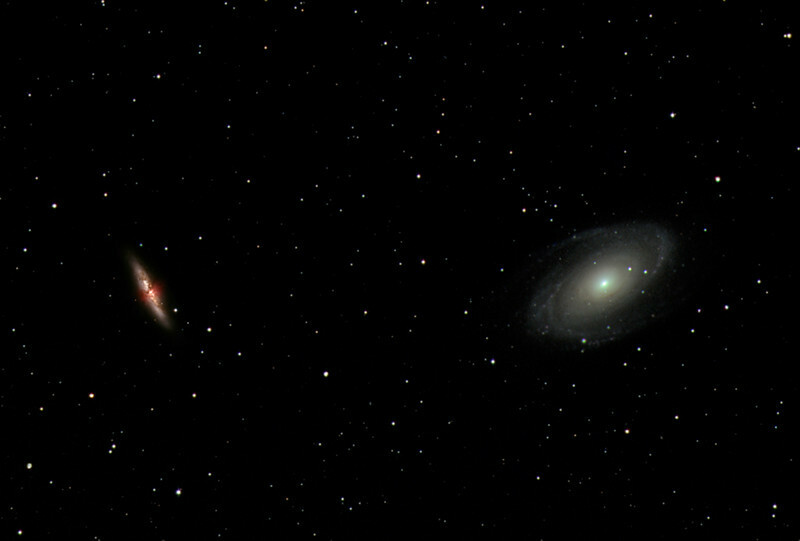 This shot combines both the Cigar Galaxy (M 82) on the left (see my other picture for info in this), and Bode's Galaxy (M 81) on the right, its nearby neighbor. Messier 81 is a spiral galaxy about 12 million light-years away in the constellation Ursa Major. Because of its proximity to Earth, its large size, and its active galactic nucleus (which harbors a 70 million solar mass supermassive black hole), Messier 81 is a popular galaxy to study in professional astronomy research.